Newswatch: After microbeads is it time to ban glitter & straws? After microbeads is it time to ban glitter & straws? This week it was reported that a nursery in the UK had banned glitter - on environmental grounds. While glitter is only a small part of the microplastic load getting into watercourses and the sea, such efforts have surely to be commended. There is far too much wastefulness in our modern life, and Christmas doubly so. A small step has been made in banning microbeads or persuading manufacturers to stop using them. 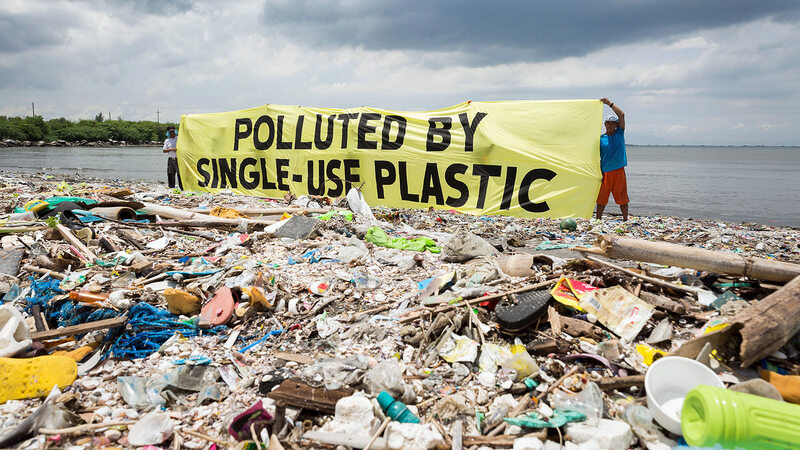 But there are far too many non-biodegradable and readily disposable items used in our everyday lives. Glitter is not necessary to make Christmas a joy. Furthermore it is potentially dangerous should it be ingested and especially if it gets in one's eyes. It also creates a mess which makes for constant vacuum cleaning. And of course there are environmental considerations. Tops Day Nurseries - a chain of 19 day care centres across southern England - is outlawing the sparkly substance [BBC / Sky News / Guardian]. That's highly commendable. But today I, like I'm sure many parents did, received a leaflet from my child's school directly encouraging pupils use glitter and tinsel in some decorations they've requested the children design and make for Christmas. This is proof that while the message gets through to some that some things are bad for the environment, not everyone takes notice or is even aware. Thus it is surely up to government and industry to find natural, biodegradable and safe alternatives and ban materials and methods that are harmful to our planet. Some have already called for a ban of all glitter and other microplastics. "I think all glitter should be banned, because it's microplastic," says Dr Trisia Farrelly, an environmental anthropologist at Massey University [Independent]. Most glitter is made of aluminium and a plastic called PET. Dr Farrelly has investigated how PET can break down to release chemicals that disrupt hormones in the bodies of animals and humans. Such chemicals have been linked with the onset of cancers and neurological diseases. 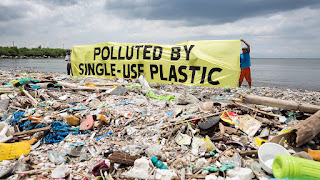 Some eight million tonnes of waste plastic ends up in the sea each year and while only an estimated 86 tonnes of microplastics are released into the environment every year in the UK alone, every effort to reduce such waste helps. Plastic straws are another problem which is only now being addressed. Over 500 million plastic straws are produced in the US alone every single day, only to be used for a few minutes before being thrown in the bin or littered. But slowly there is an effort to reduce this waste too. Cornwall could become the first county in Britain to ban plastic straws in an attempt to protect its coastline according to recent reports [Independent]. And the pub chain Wetherspoons is to only hand out plastic straws if requested with a complete ban from January 2018 when they will make the switch to biodegradable paper straws instead [Sun / Independent]. Many of us can make our own decisions and act. But sometimes the choices are forced upon us. Unnecessary supermarket packaging for fruit and vegetables is a case in point. The consumer can only do so much. While few of us like an interfering nanny state, it is only by implementing bans on these environmentally damaging substances, packaging and products that real change will be made. The chancellor, Philip Hammond, is set to announce possible taxes on single use plastics [Guardian]. However, such measures are only likely to lead to increased pricing of products which will be passed on to consumers. What is really needed is a total ban on such use.